All of the classes got very active this week, Mon 24th-28th, as part of European Week of Sport. 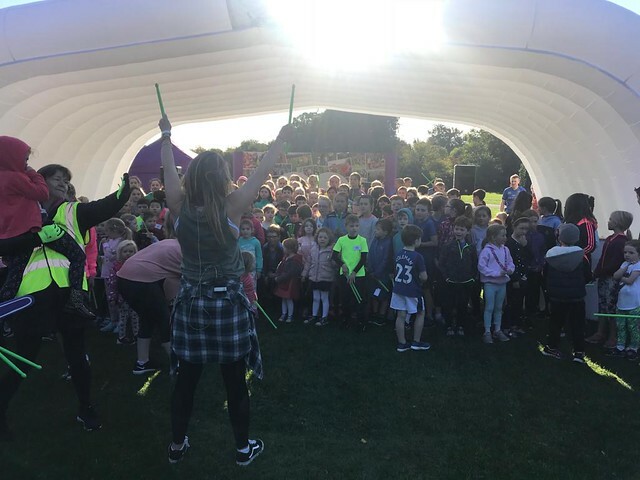 On Sunday last, many of our pupils parents and teachers took part in the Junior fun run in St.Anne's park. On Monday and Friday mornings pupils, parents and teachers all gathered in the yard for our 'Wake Up, Shake up'. Everyone danced along to songs including 'Gummy Bear' and 'Baby Shark'. On Friday the student teacher penalty shootout took place. There was lots of excitement as a representative from each class took on our teachers. Ms.Delany was the overall winner! All of our classes also ran laps of the yard as part of the Tour of Europe Challenge. The classes reached lots of different destinations. Well done to all involved in this active week!